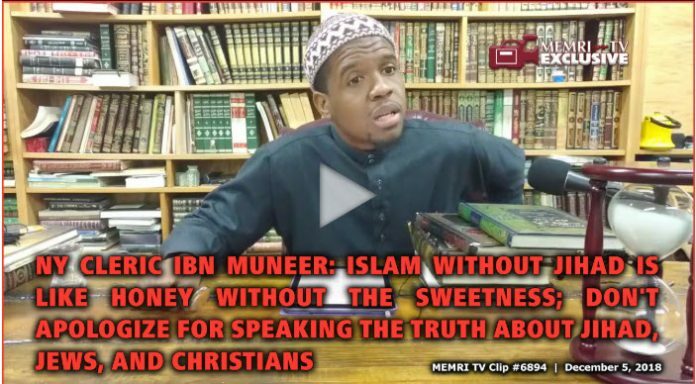 Both Jihad Watch and MEMRI have vital information right now on a Muslim cleric in New York who is clearly instructing his followers in violent jihad on his YouTube channel. This activity should not be surprising. Inspiration for, and recruitment to, jihad in mosques has been documented over and over again. The media narrative these days seems to insist that “radicalization” occurs over the internet exclusively. But jihads have been planned and launched from mosques since the time of Mohammed. This is one of those facts that must not be ignored when it comes to investigating and combatting jihad in the West.